Does it exist? It’s a question haunting me. No, that sounds too dramatic. Bothering? Pestering? Occupying? None of them really in the mark, but something akin, something part of this fuzzy category of fancy. And yes, all categories are intrinsically fuzzy, though some much more than others. This blog is part of an exploration. Discovering what decades of living, listening, reading, absorbing, and digesting thoughts out there has left me with. What are the core attractors in my reflection of the world? I often wonder if I should do that in public. I’m convinced that writing is a necessary part of the journey of discovery. 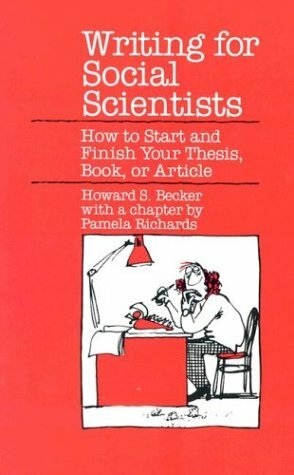 One of my guides in the territory of my trade of social science, Howard Becker, has made that convincingly clear in his wonderful Writing for Social Scientists. Only when you write, and externalize what’s roaming the alleys of your mind, do you start seeing what you seem to take as the premises and the building blocks of your eventual argument. That enables you to question the premises and start ordering the building blocks, identify blind spots and uncharted areas, etc. Should one share those unbaked collections of ingredients? Probably helps if the domain is interactive but this blog hardly is. So why? Dunno really, at least not without going into some lets-be-honest-with-myself introspection, and why would I make myself miserable? The blog is part of a larger effort that includes close reading (and often re-reading) books and other documents, reading with a pencil that is, high-lighting passages, scribbling notes, questions, connections and other mind chatter in the margins. The effort is gratifying in many ways. But also horrifying. Most authors I read can write so well, and seem to have said it all. Is the original thought possible? I’m really in two minds about the question and I also wonder if asking it is not the dumbest thing to do. No thought is really original. Whatever the thought, once it’s become famous enough to attract the historians of ideas to chart its origins, they always manage to come up with a long list of predecessors and a shorter one of more or less contemporaries in the woodwork who didn’t make it to the limelight. Maverick Dutch psychiatrist Jan Hendrik van den Berg formulated what he called metabletica, a science of changes: “one needs an ideology, a new view of the world, a new Zeitgeist, and only then can the individual scientist make his discoveries. Reciprocally, and more radically, the nature of his discoveries tells us something about the nature of human existence in that period” (quote). It shows in discoveries across disciplines that are conceptually connected. But those seeing the new still do something quite remarkable. Maybe not original in absolute terms but nevertheless quite unique. This guy is one of those that see what others not yet see, but what was in the air when he made it explicit. His peers describe him as a maverick – so I used that term as a compliment for van den Berg – and he just blows me away. There are so many things in this collection of short observations that strike me as profoundly true, as probable as it gets, his stance of doubt about everything being at the core of them. In a way, that stance does away with the trying to be original as a worthy goal to pursue. If something new comes out of one’s explorations, fine, if not, so what? That is not why you explore. Is it? A moving example of what happened to a similarly exceptional mind like Feynman’s without that safety-valve is the story of John Nash as documented below (you may have seen the movie, based on his biography, this documentary shows the real Nash). Well, I guess I have answered my own question by now: possible or not possible, explicitly pursuing any original thought it is not the way to go. Doubting the stuff others have made up, fine, giving it your best shot to come up with your own answer, great, if that turns out to be labelled original, ahead-of-its-time, or whatever other ego-pleasing label appeals, good for you (or me in this case), but striving for originality for its own sake, fuggedaboudit. And to be honest, just wondering about originality is a bit early in the process isn’t it. Have I figured out the ingredients of my soup yet? Far-from-it would be too negative, getting-close too optimistic, so let’s compromise on making-progress. My fancies are all over the place but I find they are not unconnected. That’s progress to me, however much predictable that may be to all amateur shrinks out there. One of those fancies is revisiting the mind scape I inhabited as an adolescent, when many (most? all?) fancies were roaming it already. And you figure out the connection between all the loftiness above and this Irishman’s head-banging blues-rock. This entry was posted in personal, psychology, society and tagged doubt, fuzzy categories, Howard S. Becker, John Nash, metabletica, originality, Richard Feynman, Rory Gallagher, Stromae, writing. Bookmark the permalink.